Europe is home to a rich network of inland waterways, and exploring them in your very own craft is a fascinating experience. If you want to enjoy these picturesque routes for yourself, it's necessary to have a CEVNI qualification - and obtaining it couldn't be simpler. The Code Europeen des Voies de la Navigation Interieure (aka the European Code for Navigation on Inland Waterways, or CEVNI) is the core set of rules and regulations for navigating rivers, canals and lakes in mainland Europe. If you want to explore these stunning waterways for yourself, you'll need a CEVNI endorsement on your International Certificate of Competence (ICC) - this will indicate your awareness of the code and your ability to captain a boat safely amongst the boating traffic of these routes. Where Can You Go With CEVNI? With the CEVNI endorsement on your ICC, you're free to roam the inland waterways of mainland Europe. It's ideal if your idea of a great holiday is drifting lazily along the gentle currents, taking in the natural beauty of your surroundings. 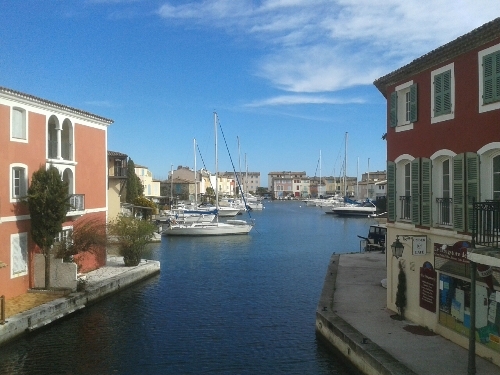 The south of France is where you'll find some of the most beautiful water routes. The Canal du Midi, which runs from Toulouse to the Mediterranean, is a popular destination for many sailors looking to get away from it all. What's In The Test ? The CEVNI test will confirm your knowledge of the code, including signs and markings, dealing with traffic, communicating via sound signals, berthing, environmental considerations, and other rules of the road. The test is taken online, so you can take it wherever and whenever you like. You can practice as many times as you like before you take the test for real, and you'll be given the result of your attempt as soon as you're done. When the payment is completed after you have e mailed us . We will then create an account for you on the RYA Interactive website, add the PPR Course to your area and send you a follow-up email with a link and login details to access the site and course.